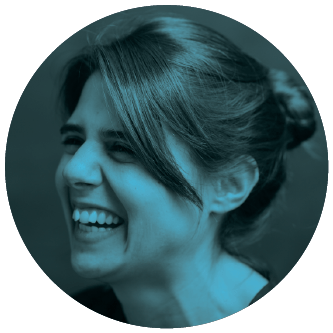 Marta Moita is a Principal Investigator at the Champalimaud Research, Champalimaud Centre for the Unknown, Lisbon. Her lab focuses on unraveling how animals use cues from conspecifics to guide their own behavior. In addition, she is also interested in understanding how the internal state of an individual modulates behavior. As a kid, when you were asked what you wanted to do in the future, what did you reply? I wanted to be a trapeze performer in the circus or work with lions. The circus was something that I really liked! I also wanted to be a gymnast, Nadia Comaneci was my hero. And a zoologist, I wanted to work in the San Diego Zoo. This was probably instigated by animal life documentaries. Of particular importance were the marine expeditions of Jacques Cousteau, the effect of which was enhanced by my uncle, an incredible storyteller who would gather a group of kids every evening at the beach for one more of Cousteau’s adventures. His stories were populated by innovations like the bathyscaphe, fantastic creatures and landscapes brought to life with the help of props like small rocks that he would find at the beach. When did you decide you wanted to become a scientist? I don’t know…I think when I was in 9th grade, I took those aptitude tests, and it pointed to science and outdoors. I remember that at the time I was very disappointed, because I already knew those answers. So, I guess that already early on I was quite decided that I would be doing something science-related, but I don’t remember…There was not a ah-ah moment of “I want to be a scientist”. I don’t think it was ever very clear in my mind. What do you like and dislike most about being a scientist? The most fun has always been the thinking part. I really like the part of coming up with ideas and talking to people. Reading a paper, hearing someone talking or talking to someone, starting to make connections and having ideas for experiments. For instance, when you have to write a project, you have some intuition and then you have to transform it into a project. So, you start reading a lot of papers and making connections. And all of a sudden, you start having a sort of a work plan. I really like this part. I really enjoy this process, which normally requires talking to people. I like that. Then, while doing experiments, there are particular things I also enjoy. For example, listening to neuronal activity while the animal is moving around. There’s nothing like it…There’s nothing like it! In this case, it’s not so much about the question, at that moment I’m not thinking that much about what those spikes really mean, but it’s about the amazing capability of listening to a brain. I find it amazing! Furthermore, there’s something about meticulous activities that I also enjoy, like doing histology. It’s very zen for me. What I dislike the most…While working at the bench, what I dislike the most is ‘banging with the head against the wall’. You have to repeat and repeat an experiment, and many times it doesn’t work, it’s really frustrating. I think most people go through really frustrating phases, and that’s tough…As a Principal Investigator…pressure. Unfortunately, it’s a very competitive environment. It’s a constant race, and I don’t like that part of it, to have to be constantly proving yourself to others. What are the main questions your lab is trying to solve? Our questions are two-fold. One focuses on exploring how social interactions shape behavior, i.e., how individuals use the behavior of others to guide their own behavior, in particular when they perceive a threat or when they are foraging for food. At the same time, we also want to understand how the internal state of an individual modulates behavior. For example, in the presence of a threat, how does the internal state (e.g. a fear state) contribute to the preparation of defense behaviors? Also, how does a change in the internal state (e.g. induced by the presence of a social context) modulate these responses? And…what were your real motivations for studying these questions? I was always driven by questions that spark my curiosity, but my research path has always been a bit serendipitous and influenced by my social environment, the people around me. For example, when I started my lab, I was interested in auditory fear learning, how animals learn to attribute a negative value to a stimulus, a sound for example, and how the brain solves this problem. At the time, I was working in an institute where I was the only neuroscientist, and in my interactions with the other researchers, their interest was mainly about behavior, which is something that people relate to more easily. This got me into questions concerning the cognitive abilities of animals and from there I started working on social behavior. Later on, in a conference where I gave a talk about fear learning in rats, I was approached by a researcher from Holland, Christian Keysers, who was studying social behavior and empathy in humans and was interested in studying those in rats. We then started collaborating and, finally, the fear learning and social behavior projects came together. Tell us a scientific story from your laboratory. I’ll tell you about the story of social transmission of fear. Imagine a situation where an animal detects a threat: we want to understand how the defense behaviors displayed by this animal influence the defense behaviors of another animal that has not detected the threat directly. Can this second animal infer that there is a threat in the environment through the behavior of the other? This project started as a collaboration with Christian Keysers. Basically, the idea was the following: we train one rat to fear a particular sound, we play that sound again to this rat, and then we see how an observer rat responds to the display of defense behaviors by the first rat. A couple of interesting observations arose from this experiment: the observer rat responds to the display of the other rat’s defense behavior with a defense behavior of its own, and, interestingly, this only happens if he has previously experienced a fear-inducing stimulus. So, what exactly is the information the observer rat is sensing from the other animal? What happens, when you have gone through an aversive experience yourself, that allows you to respond to the defense behavior of someone else? So what did you do to find that out? To look into these questions, we use a simple behavioral paradigm. We train one rat to fear a sound, then we play this sound to this rat in the presence of its cage-mate (its partner in the cage) and then we look at the behavior of this second animal. Then, we investigate what information is the observer rat sensing from the other rat that mediates the transmission of fear. For instance, could it be visual information? Could it be that the observer rat is seeing the other one? So let’s do the experiment in the dark, where he can’t see the other rat. Ah!, but then we observed that the rat still responds. OK, so it couldn’t be visual. When we went through each type of stimulus (visual, auditory, tactile), we finally discovered something that we find really interesting. What the observer rat is doing is listening to the sound of activity coming from the other animal, since the defense behavior displayed by the other rat was, in this case, immobility. Actually, when there’s a threat, animals can have different reactions, such as flight, fight or freeze. When there’s no escape, most vertebrates tend to freeze, they choose a corner of the cage and stop moving. The idea is that this response allows them to avoid being detected. If they don’t move, they don’t call attention to themselves.Since our rats can’t escape from the cage, that is exactly the defense behavior that we observe when the aversive tone comes on – they freeze and become motionless. In normal circumstances, in the absence of the aversive tone, the rat moves around in the cage, there’s sound of activity. But when the threat comes along, he freezes, creating a transition from sound to silence. So, we did the following experiment to test this idea: we played-back the sound of movement that precedes the aversive tone during the freezing time-period, and, interestingly, we realized that the observer rat does not freeze in these conditions, indicating that he is actually listening to this transition from sound to silence. What would you say is the “take-home” message from this story? Silence means bad news, it means that something strange must be going on because the other animal suddenly stopped making noise. One of the things that we find really interesting is that this system of ‘You freeze, I freeze, and because I freeze somebody else is going to freeze’ is a way of propagating information for free about the presence of a threat. For instance, if you emit an alarm call, you’re protecting others but you’re also calling attention to yourself. On the other hand, freezing is a behavior that you already use to defend yourself, but it also serves as a cue for others. Since freezing has been shown in all vertebrates, it’s a cue that can propagate really fast in an environment, because any species will detect these sound transitions. It doesn’t need to be a rat detecting the sound of a rat, it could be a mouse or a dog. If they go silent, I go silent. So, our experiments led us to believe that silence constitutes a true public cue that could rapidly spread across animals within an ecosystem. Do you think you will want to be a scientist forever and ever? I think I’ve always thought that, but at the same time not entirely. I always thought, and keep thinking, about alternative careers. For instance, not so long ago, I thought that maybe I should study medicine and be a doctor without borders. So, yes, I do think about other things, but I do think that I want to continue doing science, I think I like being a scientist. Looking back on your career, could you pinpoint some personality traits that you can now see were important for your path as a scientist? Persistence, creativity and clear thinking. As a scientist, what do you think is the most important message you have to convey?